Conway made the admission during an interview with CNN's Jake Tapper on "State of the Union." Kellyanne Conway, an adviser to President Donald Trump, said during a conversation about Supreme Court nominee Brett Kavanaugh Sunday that she had been the victim of sexual assault. “I’ve just had it. 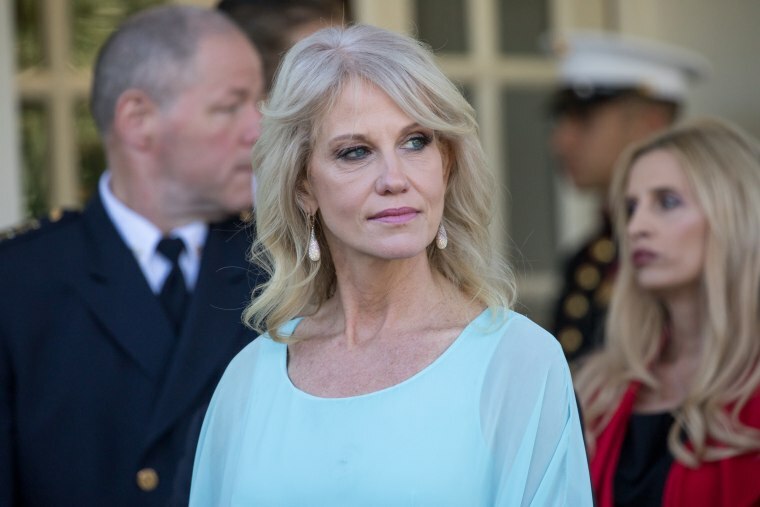 I’ve just had it with it all being the same,” Conway said. Tapper then asked her about how her own experience affects her as it relates to working for a president who himself has faced — and denied — multiple allegations of sexual misconduct. Conway, however, said all women coming forward with sexual assault allegations “should be heard” — but in the appropriate venue. “But we do treat people differently who are either the victims or perpetrators of this based on their politics now, and based on their gender. That is a huge mistake,” she said. “That’s who is responsible for sexual assaults, the people who commit them,” she said. Conway’s comments come just days after Kavanaugh and one of his accusers, Christine Blasey Ford, both testified before the Senate Judiciary Committee. The situation has prompted many survivors of sexual assault to go public with their experiences. Ford, on Thursday, explained in emotional testimony her allegations against Kavanaugh, while Kavanaugh aggressively denied them. On Friday, Trump ordered the FBI to conduct an additional background investigation of Kavanaugh.